Monday and Thursday evening 8 p.m. to 11 p.m. The secretary will be near the office at most other times and will return calls as soon possible. Anyone with questions or registrations can contact Becky through the following information. Registrations forms are also available here. 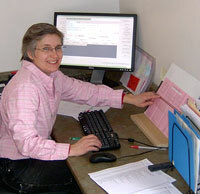 For information or questions on the Shropshire web site, www.shropshires.org, contact:.